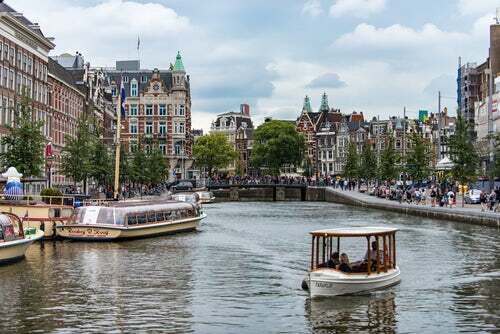 If you’ve ever been to Amsterdam, you’ll know Holland’s capital has much more going for it than tulips, clogs, waffles and of course, a liberal social stance. However, this pretty city has many lesser-known aspects to its celebrated canals, museums and architecture. Here are just a few of them. As anyone who has visited Amsterdam knows, it’s best to look every which-way when crossing the road as bicycles tend to fly out of nowhere. Probably not surprising when you consider almost 60 percent of residents cycle daily along the purpose-built cycle-paths and between them own more than 881,000 bicycles. But did you know that on average 12,500 bikes are pulled out of a canal every single year using a giant claw before being recycled for scrap? Speaking of canals, Amsterdam actually has more of these than Venice and is therefore dubbed Venice of the North for very good reason. Originally dating back to the 12th century as a fishing village, the city now boasts 165 canals and waterways which flow over 100 km. With all those canals come 1200 bridges to cross them, the most famous of which is probably the drawbridge, The Magere Brug. Moored on the canals are some 2,500 houseboats, one of which is home to Amsterdam’s stray cats! The city boasts amazing and varied architecture, both old and new. The tall, narrow buildings lining the canals date back to the Dutch Golden Age around the 17th century, a time when residents were taxed according to the width of their home’s frontage. Perhaps unsurprisingly, then, some houses are actually wider at the back than the front. The so-called Dancing Houses are several old houses from the same Golden era, built upon stilts for wealthy merchants and bankers. Over time, they’ve sunk so low that now they lean to their sides. Amsterdam’s fabulous luxury Grand Hotel Amrâth, close to Central Station, was once the city’s busy shipping HQ. It was and still is ornately and uniquely decorated (think stained-glass windows depicting galleons, lobsters and mermaid sculptures). Meanwhile, in the city’s former industrial quarter, visitors can opt to stay in a tiny but cosy ‘printed’ house made entirely of sustainable 3D rubber. Though be warned, its space-saving measurements of 8 square metres and 23 cubic metres dictate the bath is outside. Many big name museums are to be found here, such as Ann Frank House, the Van Gogh Museum and Rijksmuseum. But there are many other smaller museums well-worth a visit should you want a glimpse beneath the city’s outer layer. For example: there’s a street art museum; a museum entirely devoted to all things cat; an old church secreted away in a canal house’s attic and a handbag and purse museum. And if neither of those are up your street, how about a visit to Amsterdam’s very own microbe museum? The city may have one official mayor but in true Amsterdam flair, a non-profit organisation appointed a Night Mayor to liaise between the city’s nightlife industry and its locals. Furthermore, an elected Bike Mayor was appointed by a cycling NGO to oversee all things cycling! Have you visited yet? If so, what were your favourite aspects of the city? Deborah is a freelance writer with an appetite for travel, books and blue cheese. She has worked in colleges and universities in the UK and Australia and also resided in Hong Kong and the UAE. 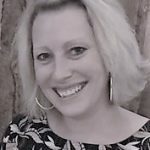 Deborah is a flexible learning enthusiast, who achieved her arts degree majoring in Communications and Sociology through distance learning.